Madras harp Harpa davidus, copyright H. Zell. The Harpidae, harp shells, are a group of predatory gastropods with usually colourfully patterned, polished shells bearing strong axial ribs. 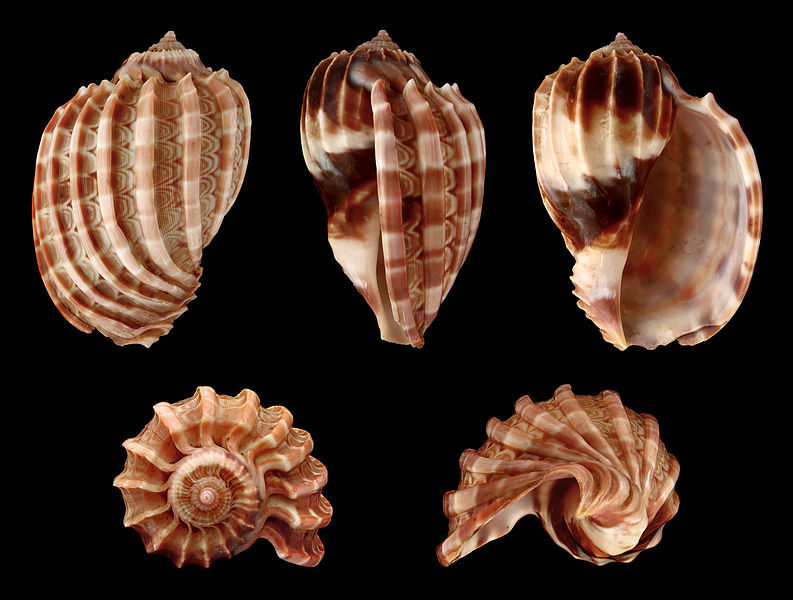 Characters (from Wilson & Gillett 1971): Shell usually shiny, strikingly coloured and patterned, sculptured with strong axial ribs more highly polished than remainder of shell. Anterior siphon canal a deep, wide notch; columella lacking folds; operculum absent. Respiratory siphon and eye stalks long; foos broad with front end greatly expanded laterally to form wide, flat, muscular organ.